One other Democratic candidate, Julián Castro, said in January that he would be supportive if his employees chose to unionize. Mr. Sanders has long been an ardent supporter of organized labor. 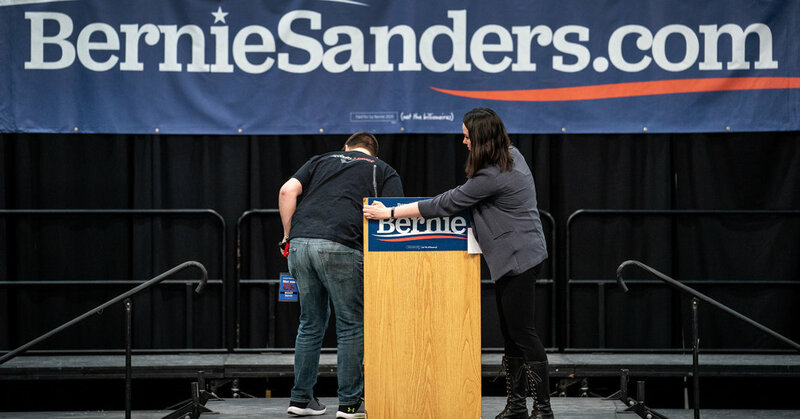 But in the months leading up to the announcement of his 2020 bid, his campaign was forced to deal with the disclosure of lingering resentment among some female and black staff members who felt mistreated during Mr. Sanders’s 2016 presidential campaign. Women who worked for him in 2016 described sexual harassment and unequal pay and said the Vermont senator failed to address the problems. Mr. Sanders met with about two dozen former employees in January to discuss the complaints, and he publicly apologized twice to the women who were mistreated. Some black employees, too, said they had felt undervalued during the 2016 campaign, in which Mr. Sanders struggled to win over black voters. Now, as the presidential field takes shape for 2020, Mr. Sanders finds himself in an unfamiliar position: front-runner. In the four years since he kicked off an insurgent campaign against Hillary Clinton, his progressive brand of politics has become a dominating force in the Democratic Party. Numerous Democratic candidates have endorsed policies, like “Medicare for all” and free college tuition, on which Mr. Sanders used to primarily stand alone.